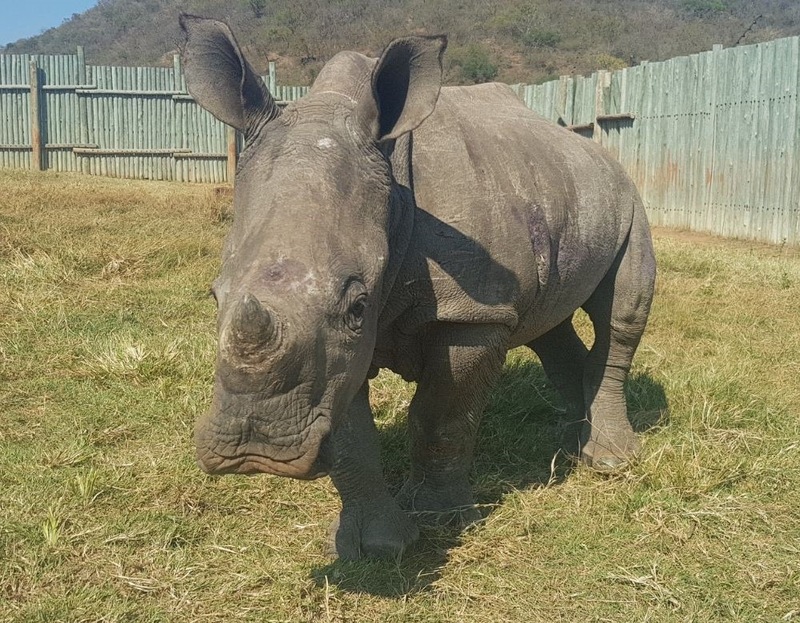 Baby Rhino Fern at Baby Rhino Rescue | Adopt and Donate Now! Sadly, her tail had been chewed off by lions and hyenas and her legs were badly bitten, most especially her back legs, where she was attacked by predators, while fleeing. She was dehydrated and very stressed on her arrival. Those were long and lonely weeks for Fern, fending off danger with no mother by her side! She drank six liters of milk, lovingly fed to her by Petronel Niewoudt. It was the beginning of her recovery. Being a resilient little rhino, Fern showed she was ready to come out of her night pen at the end of the first day. The door opened, and she was met by Leo and Faye, two of the older orphans. They immediately took to her, welcoming her. Fern was so happy with rhino company, and so relaxed, she lay down to have a nap! Fern was introduced to Khanya, Rose Petal, Rubybelle and Summer, and they took her into their crash, with great acceptance. She is now an official part of that crash, going out during the day with them to graze in the fields, and drinking her warm milk regularly. Of course her wounds need to be carefully monitored, but she is healing.